Welcome to the Arrowhead Honda Parts Center. Whether you're in need of a new part under the hood or just a new set of floor mats, we'll be able to get drivers in Peoria, Glendale, and Sun City set up with new Honda parts and accessories. Our Honda dealership has a large inventory of genuine Honda parts and accessories. These were made to deliver dependable and consistent performance for Honda cars, trucks, minivans, and SUVs. Plus, all of our accessories were designed to be the perfect fit for your Honda vehicle. If you need a part or a replacement, schedule a service appointment today! Genuine Honda or original equipment manufacturer (OEM) parts offer you the best fit and more reliable performance. That's because they were designed specifically for your vehicle. 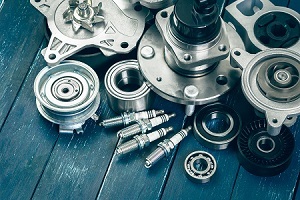 While there are lots of quality third party auto parts manufacturers out there, using OEM parts provides you with more consistency. Many aftermarket parts are made to work with lots of different vehicles. By installing parts that were made just for your car or SUV, you'll have more confidence in the parts and accessories that make your vehicle look good and allow it to run properly. When your car or SUV needs new parts or accessories, you can trust the certified Honda technicians in our service center to install them for you. 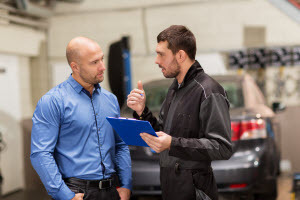 They're highly trained in everything from routine maintenance, like brake pad replacement, to more extensive service, like collision repairs and transmission replacement. If you're due for maintenance or notice that you need accessories like wiper blades or hub caps replaced, schedule service with our team online. As a Honda dealer, we want to help you keep your car in great condition. We put our full inventory of parts and accessories online, so you can always find what your vehicle needs. In our e-Store you can search for your vehicle and then find the parts that match your model and the year it was released. Once you've found what you're looking for, you can order Honda parts online. We'll let you know when they're in stock. Then you can either pick them up and install them at home or have our team of Honda technicians install them for you. Order Honda parts online if your vehicle needs something replaced or contact us to learn more about the parts and services that we offer. You can also check out our Parts Specials to get some great discounts. At Arrowhead Honda our goal is to help drivers all over Sun City, Phoenix, and Surprise drive on the latest and most reliable parts for your vehicle.